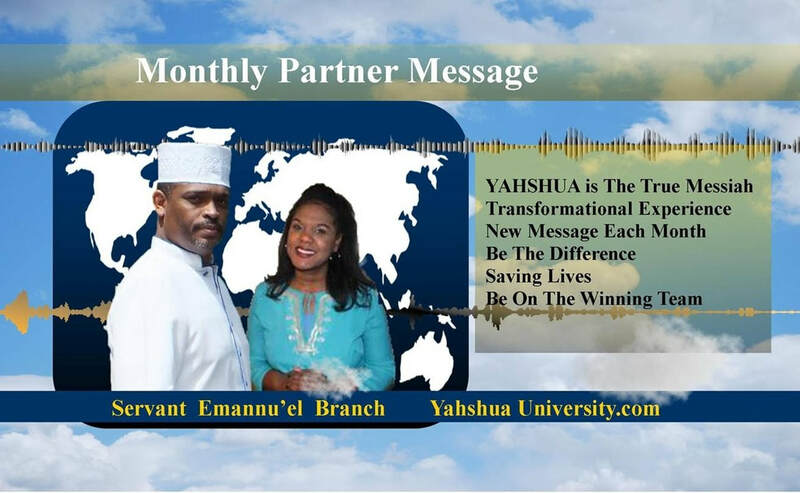 This is a special radio-styled recorded broadcast filled with biblical insights, personal stories and messages given by me, Servant Emannu'el and my help-meet, Sister Z, that will help to bring you even closer in relationship with Yahweh Elohim Yahshua. This is a total transformational experience. Be The Difference. Become a Monthly Partner. Start collecting all of our unique monthly messages throughout 2019, today. ​Thank you for your monthly support. ​To Yahweh be the glory.